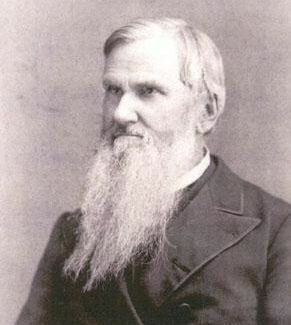 Robert Lewis Dabney, was a famous Southern Presbyterian pastor. Though he was originally against secession, he became a Captain in the Confederate army and Chief of Staff to Stonewall Jackson. He survived the war and went on to found a school of theology in Texas. Dabney was firmly opposed to the proliferation of business corporations. He recognized (as many people of his day did) that Northern corporations influenced Northern politics and benefitted greatly from the war against the South. Many people do not realize that the proliferation of business corporations that we have today came into existence as a result of the devious misapplication of the 14th Amendment in the late 1800s. I have written about this at: The Dirty Little Secret of How Corporations Became "Persons." I urge, third, that the forms of industry promoted by the powerful corporations tend to undermine the domestic and personal independence of the yeomanry. The associated means of production supplant the individual, the products of the older and more independent forms of industry retreat before those of the corporations. The time was when manufactures were literally “domestic,” the occupations of the people in their homes. The producing yeoman was a “free-holder,” a person whose vital significance to British liberty our times have almost forgotten. He dwelt and laboured under his own roof-tree. He was his own man, the free-holder of the homestead where his productions were created by the skill and toil of himself and his family and servants. Now all this is changed. The wheel and the loom are no longer heard in the home. Vast factories, owned by corporations, for whose governors the cant of the age has already found their appropriate name as “kings of industry,” now undersell the home products everywhere. The axe and the hoe which the husbandman wields, once made at the country forge, the shoe upon his mule’s feet, the plough with which he turns the soil, the very helve of his implement, all come from the factory. The housewife’s industry in brewing her own yeast can hardly survive, but is supplanted by some “incorporated” “baking powder,” in which chemical adulteration may have full play. Thus the centralization of capital leads at once to the centralization and degradation of population. The free-holding yeoman citizen is sunk into the multitudinous mass of the proletariat, dependent on the corporation for his work, his wages, his cottage, his kitchen garden, and privilege of buying the provisions for his family. The fourth, and chief argument against our system is found in its influence on the virtue of the people. Every one remarks on the alarming relaxation of business and political morals. But unless we can refute the testimony of not only Washington, but of Moses, David and Solomon, correct morals are the very foundation of public safety, and this unfashionable, homely, and simple old truth must stubbornly hold its place, notwithstanding nineteenth century smartness. I shall show that the species of legislation I criticise furnishes the occasion for much of the corruption which all sensible men dread. As I contemplate what an agrarian-based economic system would look like, I'm certain it would not contain business corporations. The establishment of corporation status would be granted very rarely and only for the public good, as was once the case. Dabney once said that a corporation had the rights of person but without "a soul to damn or a backside to kick". some of here hold to be a hero, a Godly man. That sums it up nicely. Thanks for the additional insight. As you contemplate agrarian society, consider whether the existence of any limited liability vehicle could be lawful in a society where the 10 Commandments are required to be kept. It is not biblically lawful for any individual to artificially limit his liability; the soul that sinneth, it shall die. Liability is like true capital, it doesn't go away, it just moves around. Thus, an individual cannot think to alleviate his liability; he can only shift it or transfer it to another individual (think scapegoat). This is lawful if the "scapegoat" voluntarily accepts the transfer (think Christ's [voluntary] substitutionary atonement), but it would be unlawful for one individual to transfer his liability to another individual either by force or deviance. Just a thought, but it is my opinion that a truly biblical society is a full liability society. If that is the case, peel the cultural, economic, etc. onion and see if there is anything left but an agrarian society. I find there is not. God creates people. And those people are responsible for their actions. They are ultimately responsible to God himself. Government, in granting artificial personhood to a corporate entity, is acting as God. To further compound the atrocity, government creates personhood without responsibility, or with limited responsibility. The audacity in doing this amazes me. Great post, Brother Herrick! And some thoughtful responses! I believe those corporation that can be used for public good could be transportation (intercity bus/coach; railways; shipping lines; airlines), firearms and military equipment manufacturing, any other examples? And how about industries like mining, oil and gas, iron and steel, forestry, automotive, aerospace? I never think we can survive without those industries.. How agrarian economy accommodate efficient public transportation, for example?